Honey Boo Boo’s gay Uncle Poodle, Lee Thompson, has spoken out about what it is like to be gay in the South. Uncle Poodle bravely shared his harrowing memories in a video for GLAAD’s Spirit Day. Lee Thompson says he has fallen victim to some horrible attacks at the hand of ignorant thugs, which have left him with broken ribs and a dislocated jaw. 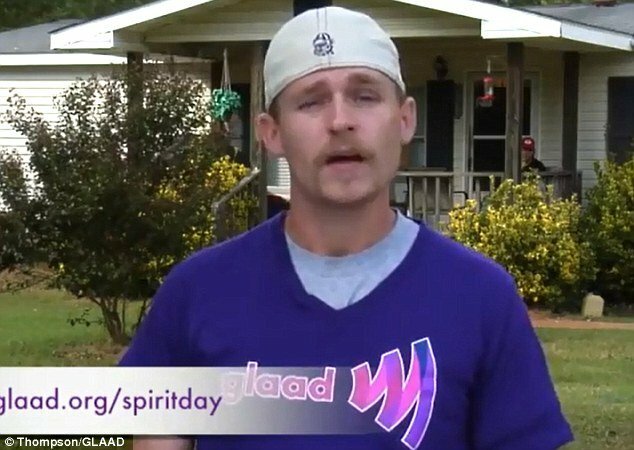 Sugar Bear’s brother made the horrifying reveal in a video for GLAAD – which was created to fight intolerance and violence against the LGBT community. But Uncle Poodle says he was able to get through it all because of his family and friends who stand by him. “But I have a family that stands by me, supports me,” he said. Honey Boo Boo herself, real name Alana Thompson, supports her uncle wholeheartedly. On the season finale of her hit TV show, Honey Boo Boo voiced her pro-LGBT stance, saying “ain’t nothin’ wrong with bein’ a little gay”. Uncle Poodle is Honey Boo Boo’s undisputed favorite. Lee Thompson explained to the Georgia Voice how Honey Boo Boo came up with the Poodle nickname. “We were at practice one day, getting ready for a pageant. Her coach was talking about her gay friends, and she said, <<I love all my poodles>>,” he told the Georgia Voice.